Lovers of TRiO, rejoice! 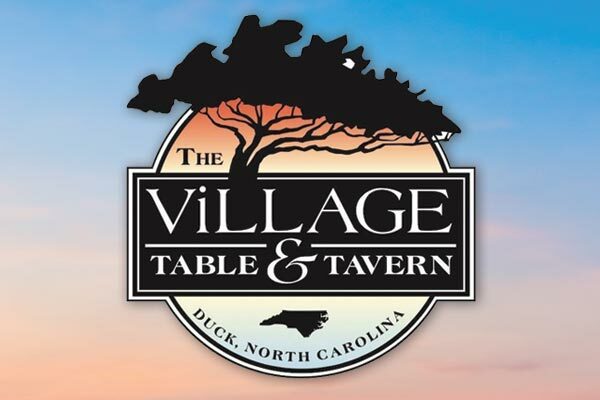 The gourmet food and drink you know and love from our Kitty Hawk wine bar and market is now available at The Village Table &Tavern in Duck. Like our sister shop, we’re committed to bringing visitors fine food and drink in a chic setting that doesn’t require anyone change their clothes or scratch their head at items on the menu. Then again, if you are in the mood for that sort of experience, you can still find it here. Casual or swanky, familiar or adventurous, it’s all about what you want. At The Village Table & Tavern, we believe that quality should not exclude quantity. We have 16 different beers on tap from a selection of regional breweries in addition to a number of European craft brews. There’s always find something new and fresh to try. Our list of wine and champagne pulls from an assortment of varietals, vineyards and countries. We offer wine by the glass, bottle and even have a wine tap, and our Somm’s Pours lets you sample or even indulge in a bottle of our finest favorites. Our high standards for beer and wine apply to our mixed drinks too, so be sure to also try our craft cocktails made with house-made mixers. While our drinks can certainly be sipped on their own, we make them with the intent of them complementing our food menu. Our small plates, salads, sandwiches and mains marry Southern classics with Mediterranean flavors. From BLTs to falafel and fried pickles to pappardelle, The Village Table is serving it up. Our waterfront location makes The Village Table & Tavern a relaxing and scenic spot to start the evening, unwind after a long day or simply take a break between activities. Get a drink from our open-air bar and head to the Adirondack chairs on our lawn to catch the sunset over the Sound. Once you get hungry, dig into a platter of steak frites on our outdoor deck. Let us be a venue for your upcoming special event. Our lawn and restaurant provide a sophisticated atmosphere and unbeatable backdrop for wedding receptions, birthday parties and other special occasions.